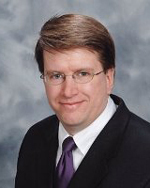 Michael J. Walker, CPA, is based in New England and has decades of accounting experience in the financial services, information technology services, and construction industries. He has an extensive technical accounting background that includes hands-on experience with U.S. GAAP and International Financial Reporting Standards (IFRS). His expertise includes accounting for financial instruments, securitizations, and other banking products. He graduated from Bentley University with a BS in finance and an MS in accountancy.